Meditation simultaneously engenders both relaxation and alertness, and regular practice can change brain function to permanently improve internal sensing. The three major meditation methods—focus (Yoga meditations and postures), open-focus (Mindfulness), and no-focus (clearing the mind Zen and Taoist flow)—are best suited to different kinds of problems. 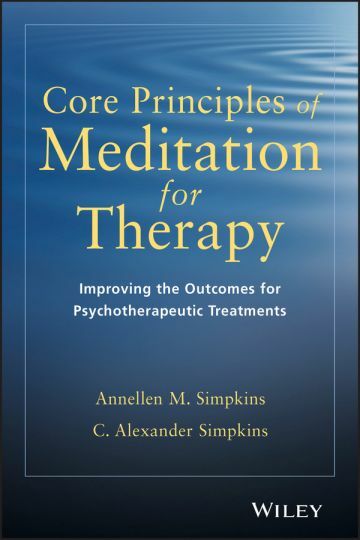 Core Principles of Meditation for Therapy explains them all, and details the most practical applications of each. This guide matches the meditation type to a therapeutic goal.